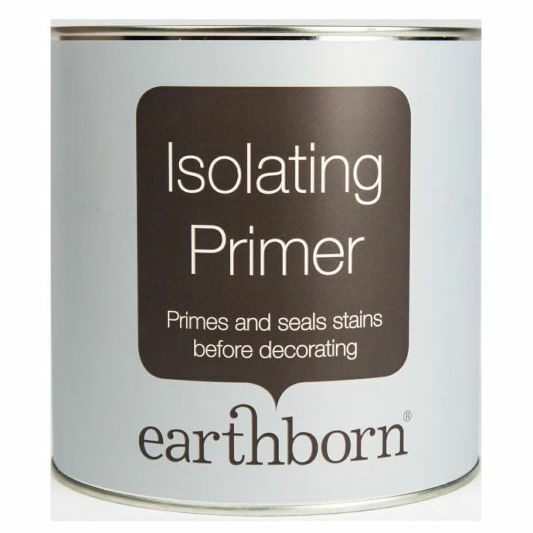 Earthborn Isolating Primer is designed to treat stubborn, dry stains before over painting with water based paints such as Earthborn Claypaint or Earthborn Lifestyle Emulsion. Isolating Primer is a matt white paint that contains a stain inhibitor. It is ideal for treating stains including crayon, graffiti, water stains, creosote, smoke stains, hand marks, asphalt etc. Therefore helping to prevent bleeding through the new paintwork. Made from carefully selected, premium quality ingredients and is formulated to be less harmful to the user and the environment than competing products.